UMC’s Southwest Cancer Center in Lubbock, Texas, is a nationally recognized leader in the fight against cancer. Our physicians and staff care deeply about the challenges you’re facing with your cancer diagnosis. Our multi-disciplinary approach combines the expertise of Texas Tech Physicians with UMC's compassionate care and technological advancements. We are committed to listening to you, responding to your needs with compassion, and helping you cope with your illness and treatment. At the UMC Heart Center, our staff is dedicated to providing you with the latest technology in a healing environment. UMC partners with Texas Tech Physicians’ Center for Cardiovascular Health, and a team of community cardiologists to provide you a multidisciplinary approach to care. At UMC, we know that stuff happens when you least expect it. We have many services in place for when the unexpected happens, and each and every one is designed with you, our patient, in mind. We are also are constantly evaluating these services so that they are the very best they can be. UMC Southwest Gastroenterology has a staff dedicated to preventing, diagnosing and treating conditions related to the digestive/gastrointestinal tract. From newborns to geriatric patients, we have compassionate people ready to care for you. We also provide expert nutritional information to help treat various symptoms you might be experiencing. At UMC Home Health, we've learned that most people prefer to go home to get well. Our expert staff can help make that preference a reality by providing compassionate, quality health care at home. UMC and UT Southwestern Medical Center have forged a new partnership in kidney transplantation, bringing the strengths of both facilities together, creating a patient-centric culture and providing an unsurpassed level of innovative and compassionate care. Housed in UMC’s new East Tower facility, the UMC Family Birth Center is the ideal place to have your baby. The East Tower was designed with your comfort and convenience in mind and features state of the art construction and equipment to make your birthing experience the best it can be. UMC Physicians' Occupational Medicine offers onsite employee health screenings, health risk assessments, personal wellness profiles, vaccination administration, drug screens, and more. If your employees can't come to us, we will come to you! Orthopaedic conditions and injuries can make it hard for day-to-day life and activities. That’s why UMC Health System and Texas Tech Physicians Orthopaedic Surgery partner to offer cutting-edge Orthopaedic surgery to the region. The special healthcare needs of newborns, infants, children and adolescents are the primary focus for the UMC Children's Hospital. Housed on the second floor of UMC, the Children's Hospital treats patients using the most advanced technology available today. Physical Medicine & Rehabilitation at University Medical Center is a multi-disciplinary team of athletic trainers, audiologists, exercise specialists, occupational therapists, physical therapists, and speech and language pathologists providing in-patient and out-patient services located throughout the Lubbock area. Our radiology team is committed to offering the best in care, while combining the latest in technology, with specialized expertise to diagnose and treat patients. Because some of our imaging techniques involve the use of radiation, UMC Radiologists have training and understanding of safety and protection. We treat adults and children and provide both diagnostic and interventional radiology services. Respiratory therapists are an integral part of UMC Health System’s health care team. Our registered respiratory care practitioners work with patients to assess respiratory issues, and they manage respiratory equipment. They provide care to patients— 24 hours a day, 365 days a year—who require treatment or diagnosis on health issues affecting the cardiopulmonary system. At UMC Health System and Texas Tech Health Sciences Center, we are committed to helping those 60 and better to save on hospital and healthcare expenses. Seniors Are Special is a plan that costs nothing to join. UMC Southwest Medical is a campus that understands the importance of all-encompassing health care for women and their families. We want to empower women to be proactive in every aspect of their health because we believe taking care of you helps you take care of everyone you love. Supportive care, also known as palliative care, focuses on the relief of symptoms and improving quality of life for patients and their families. Supportive care is available to all patients with serious illness, regardless of their age or stage of disease progression. We know that when you aren't feeling your best, it's tough to sit in a waiting room. With UMC's Wait From Home, you can login on your smartphone, computer or tablet to check in at one of our clinics, and stay where you are until we are ready for you. According to statistics from the CDC, more than one-third of all American adults are obese. Obesity, when left untreated, can potentially result in major, life-threatening conditions such as heart disease, stroke, type 2 diabetes, and cancer among others. As chief healthcare officers of the family, women need to know they are in good hands. 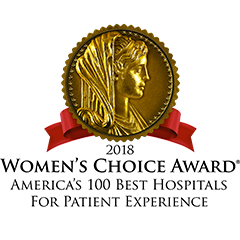 UMC was awarded the America’s 100 Best Hospitals for Patient Experience by Women’s Choice Award, and our Breast Care and Family Birth Center prove so.